The Fall 2015 Collection is all about versatility—bags designed to easily transition from farmers market to dinner party, or Friday morning meeting to dinner date. We’ve put together two looks to show how we’re incorporating the Indigo Foldover in our work to play looks this fall. 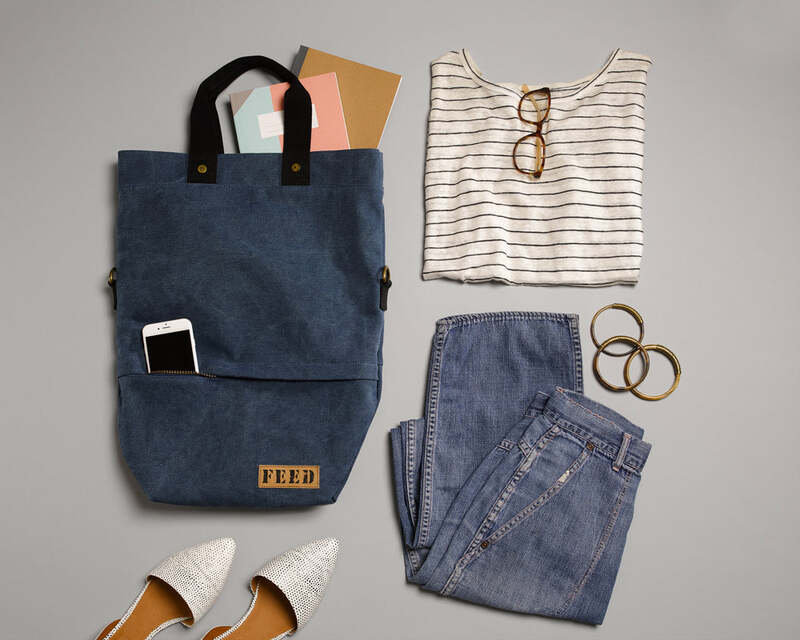 Pair the Indigo Foldover with boyfriend jeans, a tailored striped tee, playful glasses and dressy flats for a casual Friday work look. Pair the Indigo Foldover with a patterned romper, strappy sandals and a colorful lip for a playful look that's perfect for date night or a night out with friends.